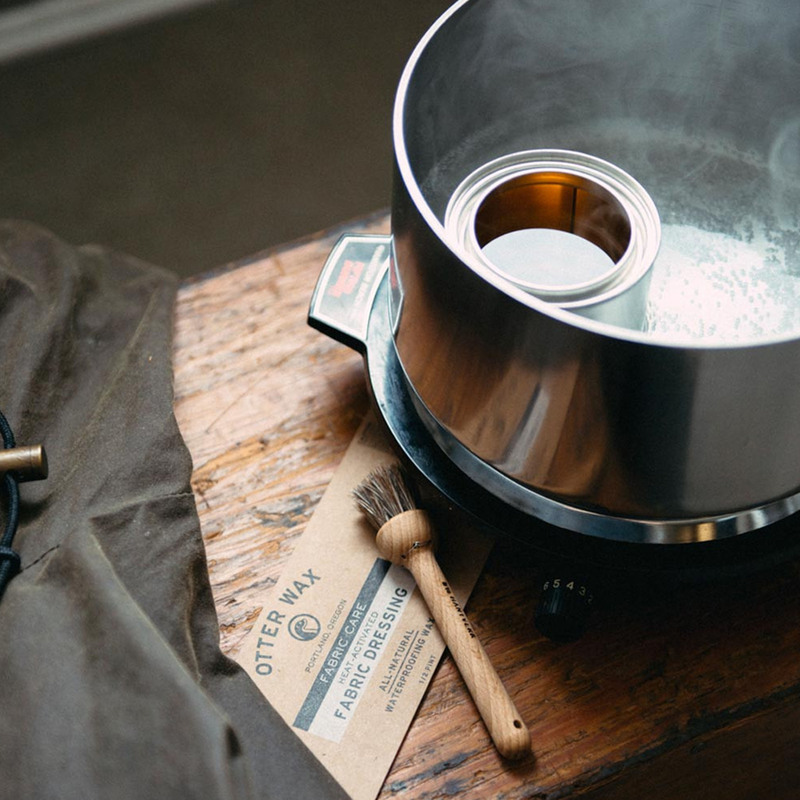 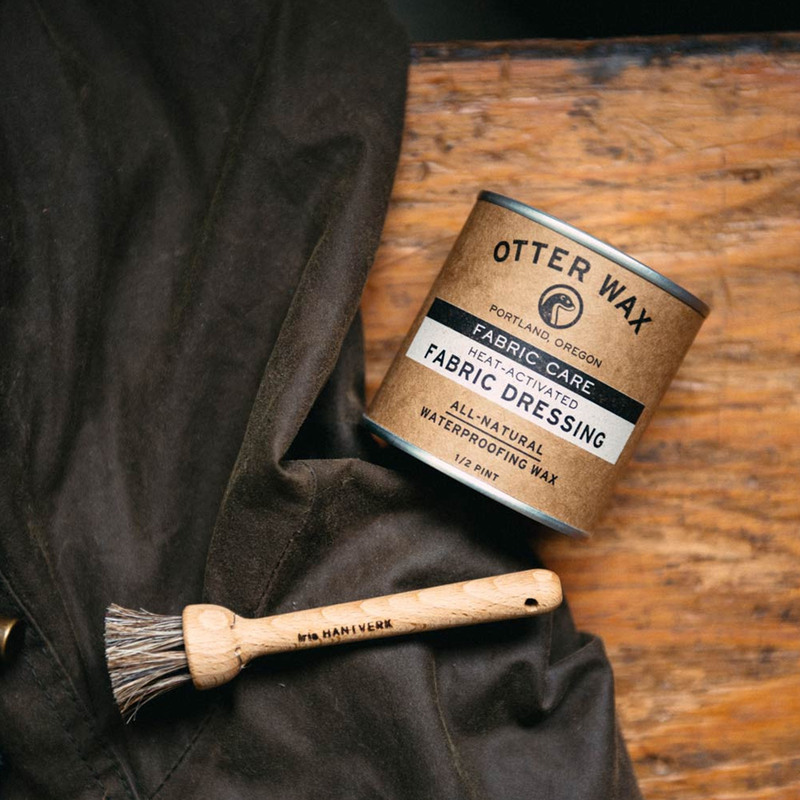 Our Heat-Activated Fabric Dressing comes in a large 1/2-pint tin and provides enough wax to tackle those bigger projects. 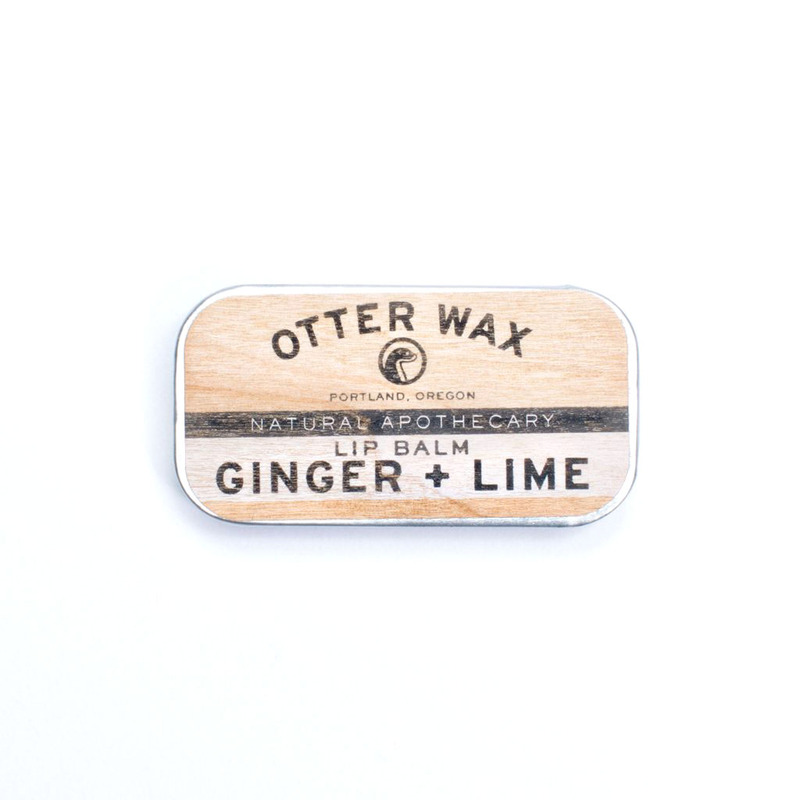 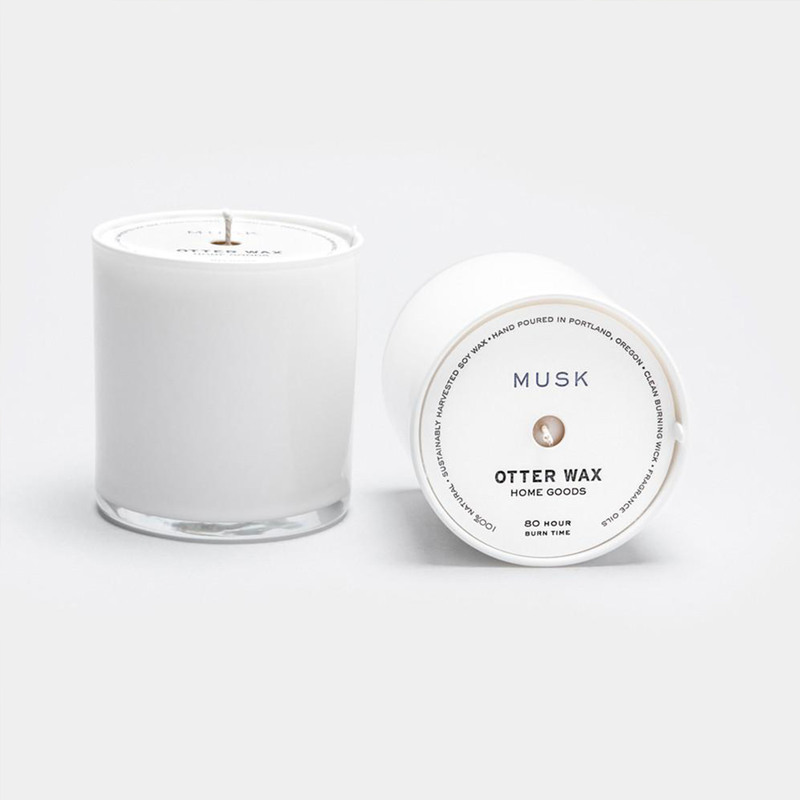 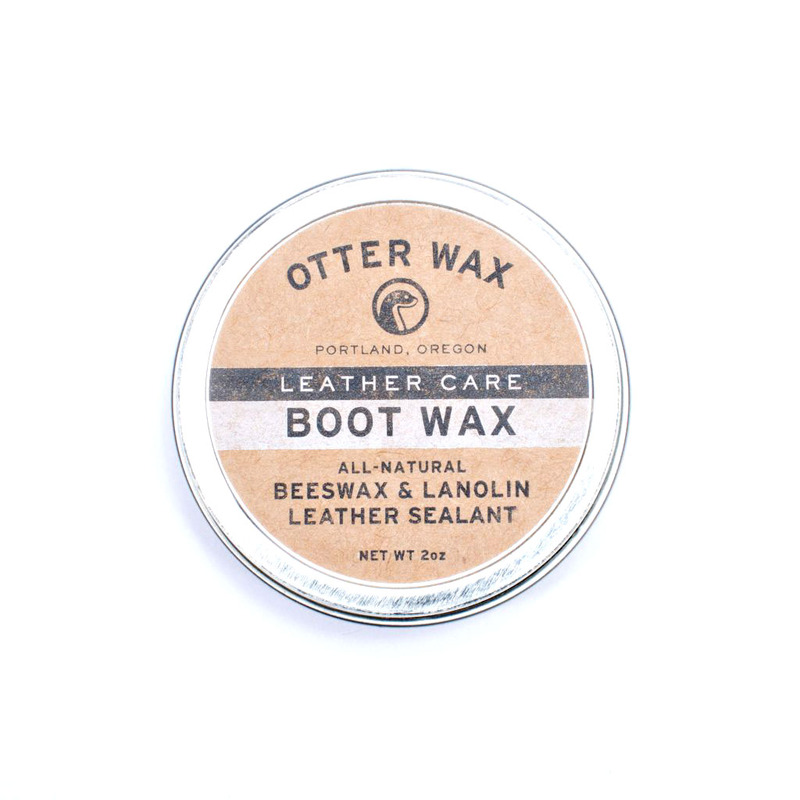 This item is perfect for those folks looking to achieve that ‘Factory-Waxed’ appearance. 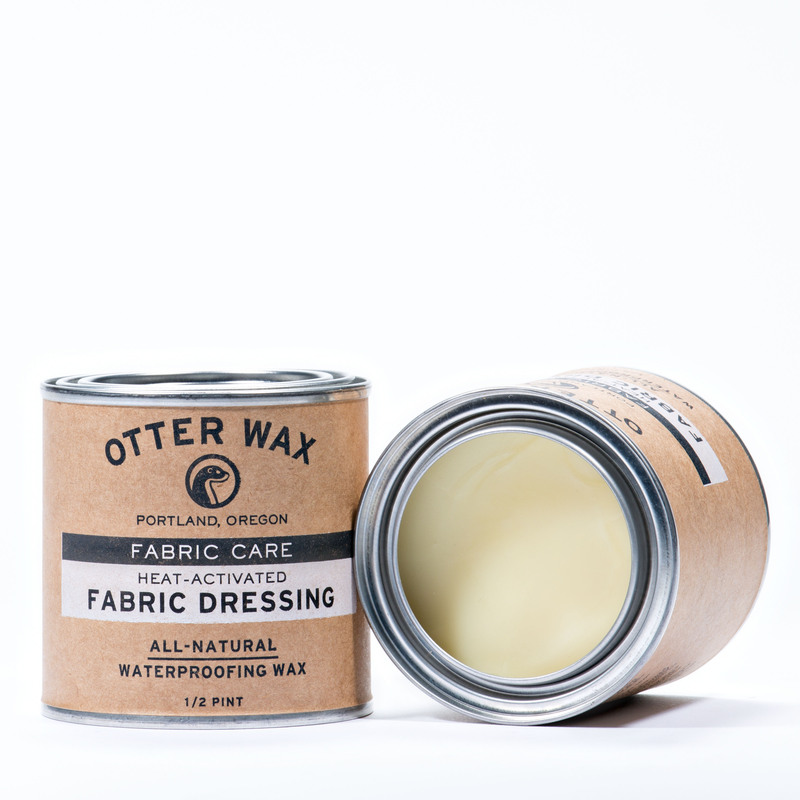 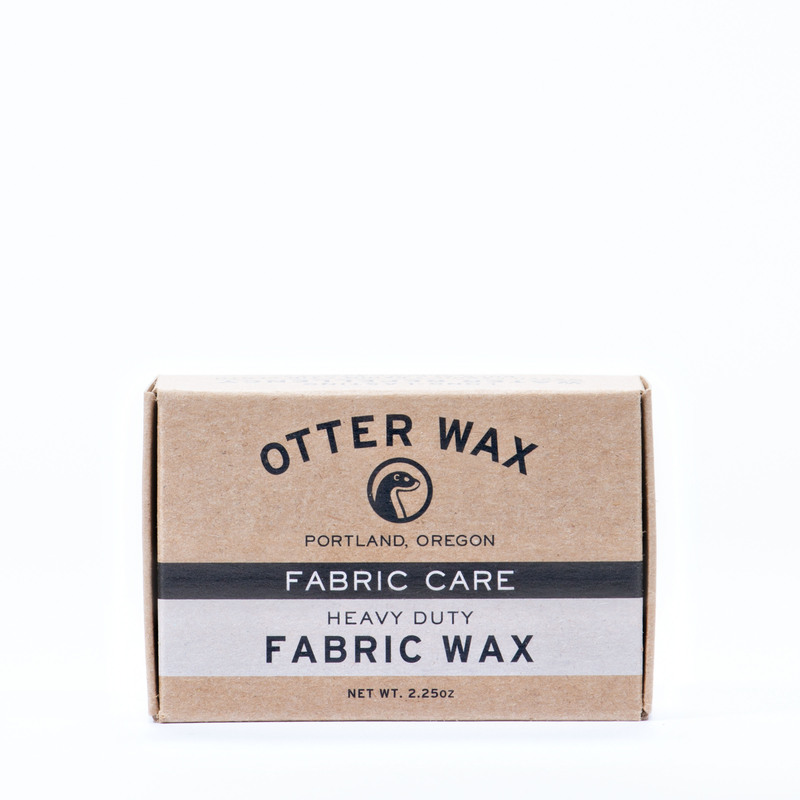 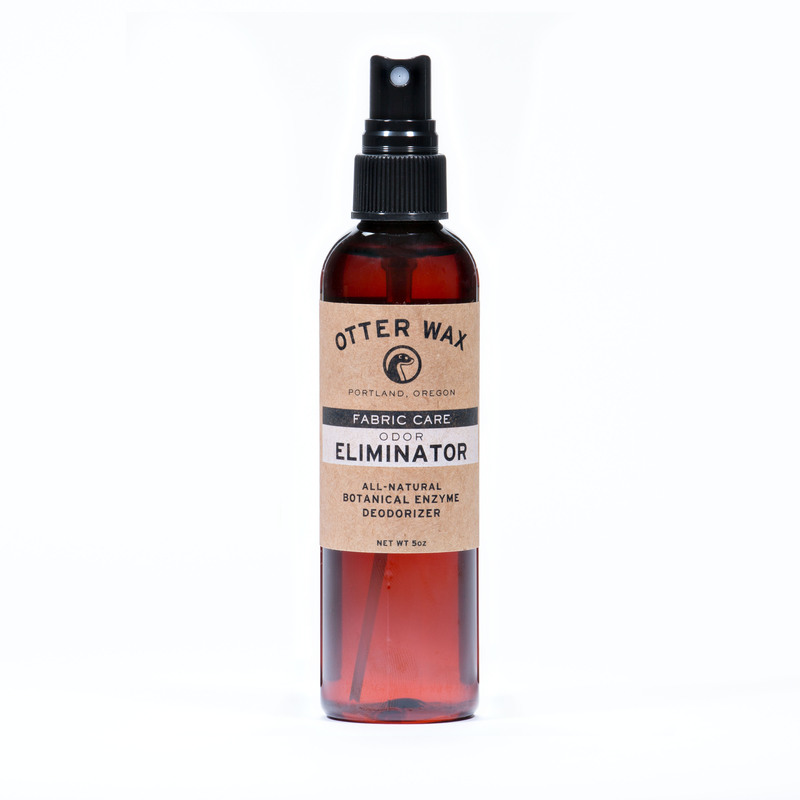 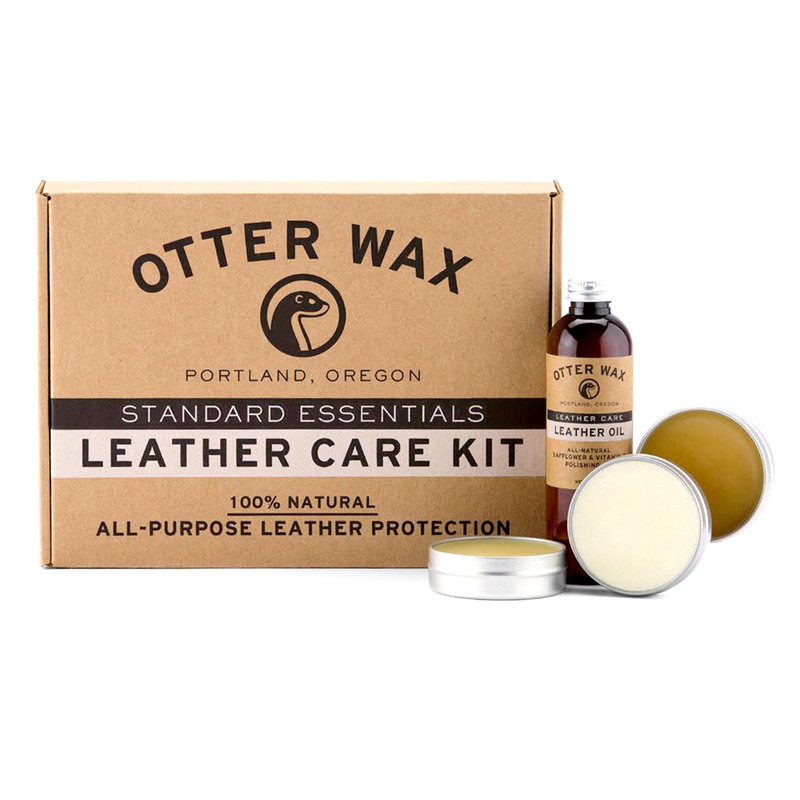 Our Fabric Dressing is perfect for those waterproofing un-waxed items, but it’s also a great option for those that want to use an all-natural wax treatment to re-waterproof their factory-waxed and oiled jackets. 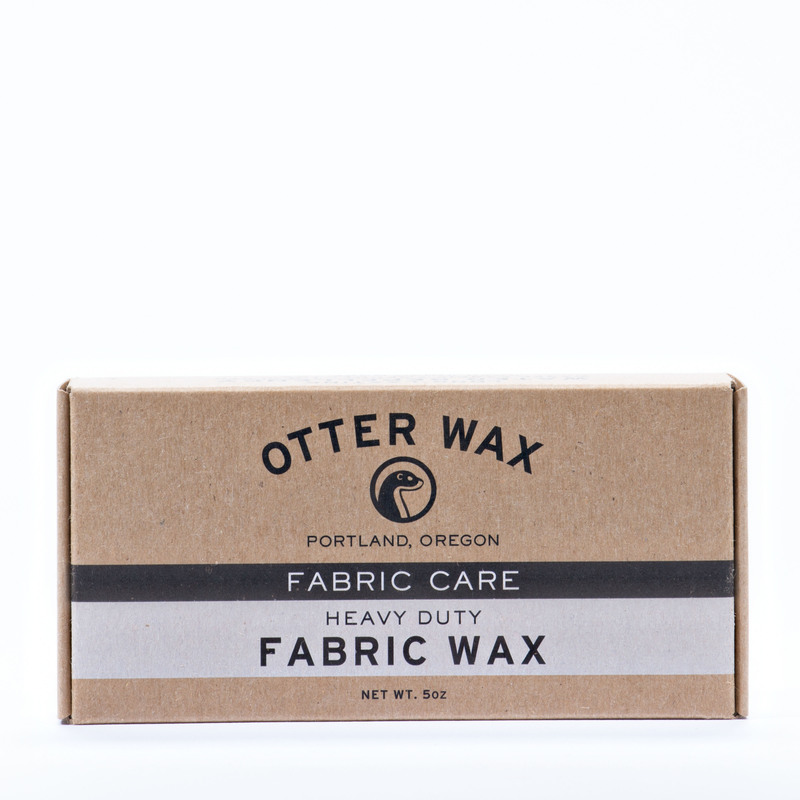 Applies easily when melted with a natural-bristle paint brush, soft cloth and some elbow grease.